Phillips Window Workroom has over 31 years of experience in the design industry. 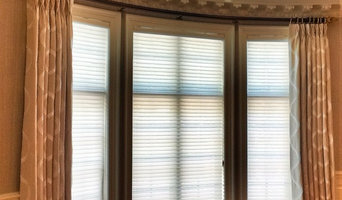 We do Windows Your Way......Custom Window Treatments Shutters, Blinds, Bedding, pillows, cushions and more. My window designs blend function and form to satisfy my client’s individual needs and style. From privacy and light control to pattern and accent coordination, every element of the design process is carefully considered. I listen carefully to my clients and use my forty-seven years of custom window design experience to develop creative solutions for all kinds of spaces. My background includes working in window treatment installation, owning my own interior shutter consulting business and managing window treatment departments for three of the nation’s largest home improvement stores. My work has appeared in Philadelphia Magazine and Interior Design Showroom catalogs, and I greatly enjoy working as an In-Home Design Consultant for SMITH&NOBLE. No other company offers such an extensive array of designs alongside superior customer service. DL solutions inc. is an owner operated company that has been doing business in the Philadelphia area and beyond for over 25 years. Each of DL's employees has been with the company for several years. Together they offer a complete source for custom reliable solutions in manual & motorized window treatments, lighting control, audio video, and networking. Much emphasis is put on supporting end-users, architects, and designers in the management process to achieve the desired result. DL solutions oversees all related details of a project to ensure that the process runs smoothly… from designing... to measurements… to technical application details… to installation and programming. Many times, involvement begins early on in the construction process. DL provides designs, specs, and drawings to support the architect, designer, builder, and/or electrician in many phases of the job progression. DL's team works closely with their clients to make decisions that will suit them best, both functionally and aesthetically; bringing technology to those who are not necessarily tech-savvy. Products offered include things such as manual and motorized solar, privacy, room-darkening, and black-out roller shades, wood blinds, shutters, motorized louvered roof systems, and fabric treatments… as well as whole home automation including lighting control, data networking, televisions, and sound systems. 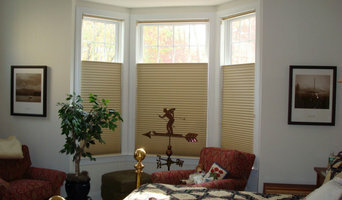 Budget Blinds offers quality custom window treatments at an affordable price. Our shop at home service ensures that our product matches your home perfectly. We provide the highest possible commitment to customer service and project quality. With over 20 years combined experience our experts will find the perfect product to take your home to the next level. We are a full service window treatment company. We start with our design consultant working with our clients in their home through the sale and installation of the window treatments by our staff. 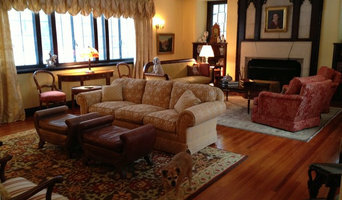 Clients can see the window treatment and samples in their home during the consultation process. Beautiful Window Coverings are Just the Beginning At Budget Blinds Serving Center City Philadelphia, we bring you attractive window treatments that are sure to impress any guest but, more importantly, we bring you an unmatched level of service. It all starts with our free in-home consultation. Here are some things you can look forward to with a simple call: A friendly Budget Blinds Serving Center City Philadelphia Style Consultant will bring the window treatment showroom to you. You can explore the choicest window coverings in Center City Philadelphia by sampling a multitude of fabrics, materials, colors and options, all in the comfort of your home. Receive expert advice on what types of window coverings will complement your existing décor View our portfolio of work to learn how different materials and colors can change the lighting and mood of your rooms. All this at no cost to you! Once you select the window treatments that will bring out the best in your home, we’ll take precise window measurements to ensure the perfect fit. Our professional and courteous installation process will follow shortly after. In the end, all you’ll have to do is sit back and enjoy the view. Window coverings made easy. That’s the Budget Blinds Serving Center City Philadelphia way. 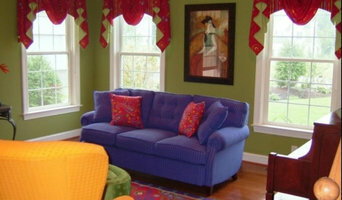 I offer my clients a unique experience in purchasing custom window treatments to beautify their home. With your shop @ home appointment, I can help you choose the perfect products & fabrics to make your house into the home you want it to be. Bare Threads Custom Window Treatments and Home Decor is a design studio and workroom specializing in custom window treatments and other accessories. We carry an array of decorative fabrics for every price range, tantalizing trims, distinctive drapery hardware, window shadings, blinds, area carpets in all sizes, and exquisite floral arrangements. Our designer will come to your home and work with your needs and desires. Every detail from conception through fabrication and installation will be addressed to give you the finished look and feel that is uniquely you! Custom Made Drapes, Blinds, Shades and Shutters Fine Decorator Fabrics, Trims & Designs are available in our Shoppe or brought to your home or office for selection to match your decor. Blinds 4 U is a shop-at-home window treatment service that makes it easy for our customers to match colors and styles in the comfort of their homes. The service always includes free measuring and installation. One window or a whole house full of windows, every customer is treated with the same high Quality Service. As a family owned and operated company, we pride ourselves in providing excellent customer value through our everyday-low-pricing. Our customers have proven to be satisfied with our service, as seen through our A+ rating on the Better Business Bureau. 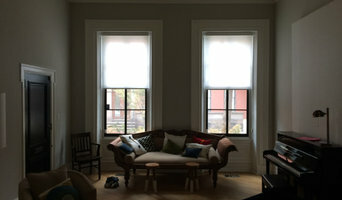 Reach us at (610)-246-3100 or visit www.blinds4u.org to have us visit your home for a free quote on window treatments.